A prophet is a man called by God to speak on His behalf here on earth. He is a special witness of Christ and testifies of Jesus Christ and teaches His gospel. He receives direction and revelation from Jesus Christ for us. A prophet can be young or old, a doctor or a teacher, rich or poor, the most important is that he is called by God. Since the restoration of the gospel, we have had 16 prophets from Joseph Smith to Thomas S. Monson. 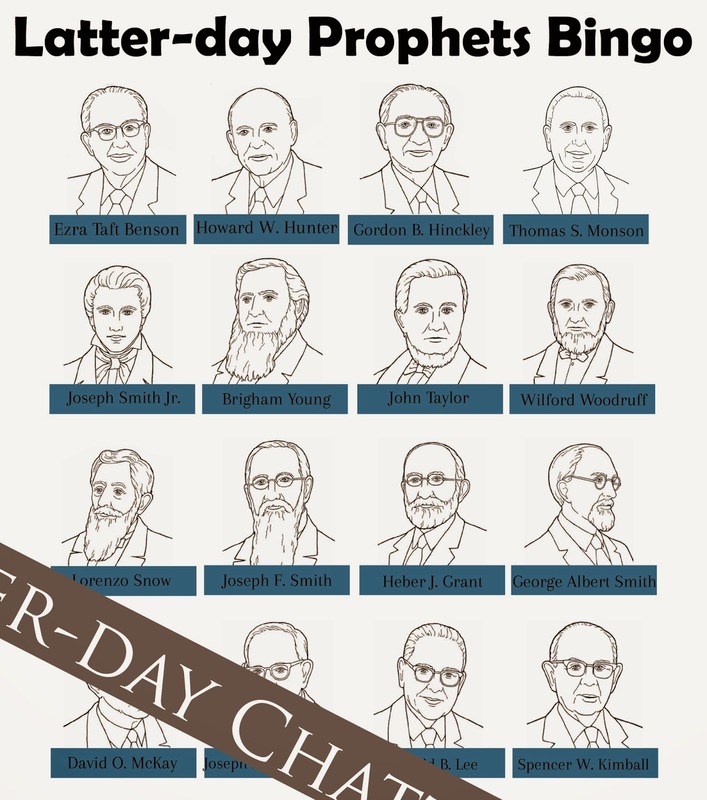 Using the names, cut them out and see if the kids can match up the names to the prophet (key included in the download), then keeping the big poster on the board, take off the names and "draw" out the names to see if the kids can remember who was who and try and get a bingo. You can make it more fun by adding in the teachers and do teams, teachers vs kids. You can go HERE to download the bingo cards to handout to the kids.